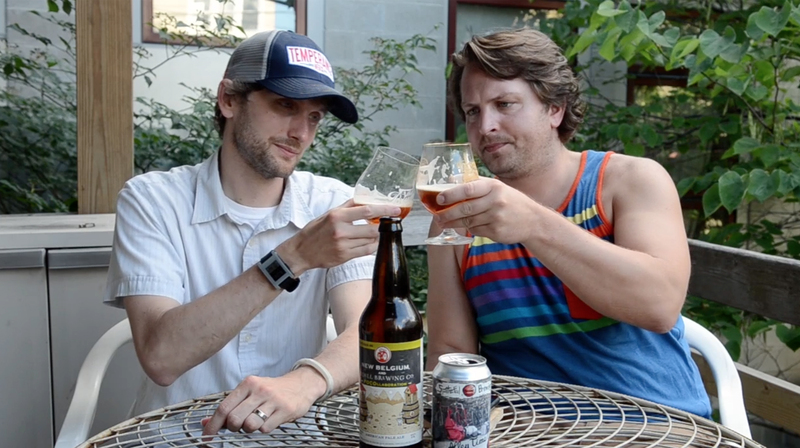 In episode 244 of the Hop Cast, Brad Chmielewski and Ken Hunnemeder open up two different American Pale Ales. One is in a can from Illinois and one is a bomber for Colorado. 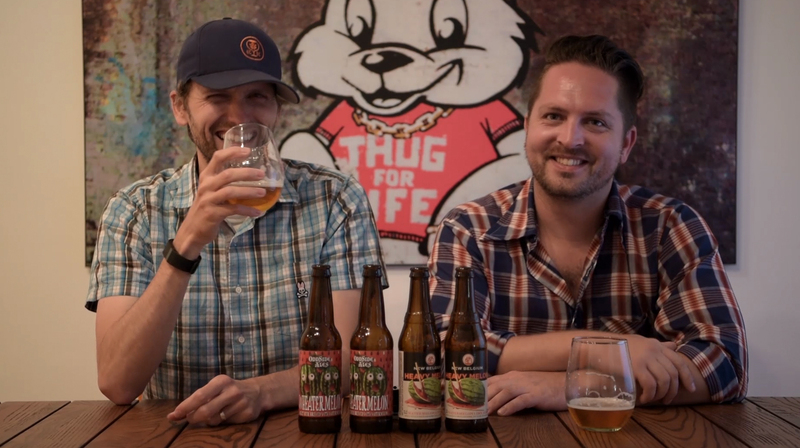 First up, Brad and Ken open up the Spiteful Brewing Alley Time, this 6 % ABV APA is brewed with Pilsen Malt and a single addition of Simcoe hops. Spiteful recently started canning and this was one of the first ones to hit the shelves. Next up is the FOCOllaboration, the #6 in New Belgium’s Hop Kitchen series. For this 6.7 % ABV APA, New Belgium teamed up with the hometown hop heroes at Odell to brew a FOrt COllins collaboration. This is a new great series from New Belgium and is worth following along with as new ones are released. Thanks for watching the Hop Cast. Cheers! Having issues listening to the video? Try the Quicktime (326.4 MB) or subscribe to the podcast on iTunes or Stitcher. In episode 191 of the Hop Cast, Ken Hunnemeder and Brad Chmielewski are joined by Jack Danger for some tasty coffee beers and some delicious apple pie. The first beer the three of them open is The Devil Made Me Do It from Tyranena’s Brewers Gone Wild series. This 7.5% ABV Porter is a big ol’ black beer with oatmeal silkiness and an intense coffee aroma that any coffee lover is going to love. This coffee beer makes for an excellent choice to go with your apple pie this Thanksgiving. Next they move on to the New Belgium Imperial Coffee Chocolate Stout. This 10% ABV Imperial Stout is the first stout New Belgium has brewed which was very surprising for us to find out. Of course New Belgium does it right and this beer is delicious. We hope everyone has a great Thanksgiving and a wonderful holiday season. 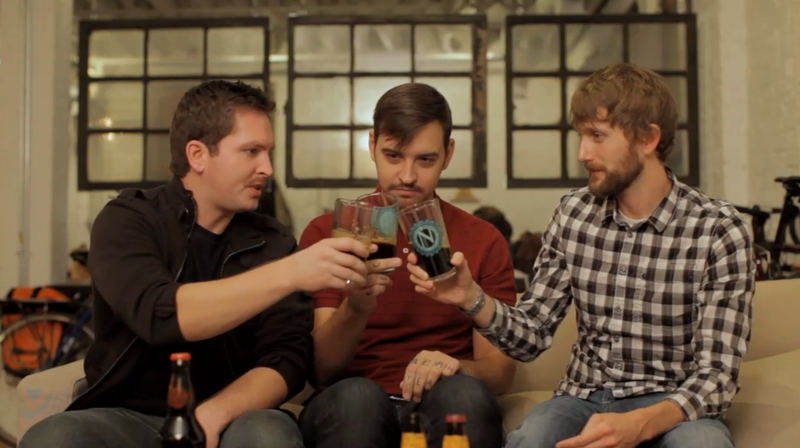 Cheers and thanks for watching the Hop Cast. Having issues watching this video? Try the Quicktime (244.7 MB). Ken Hunnemeder and Brad Chmielewski serve up episode 37 of the Hop Cast with special guest Shannon DeWolfe. The three of them take another look at cherry beers. 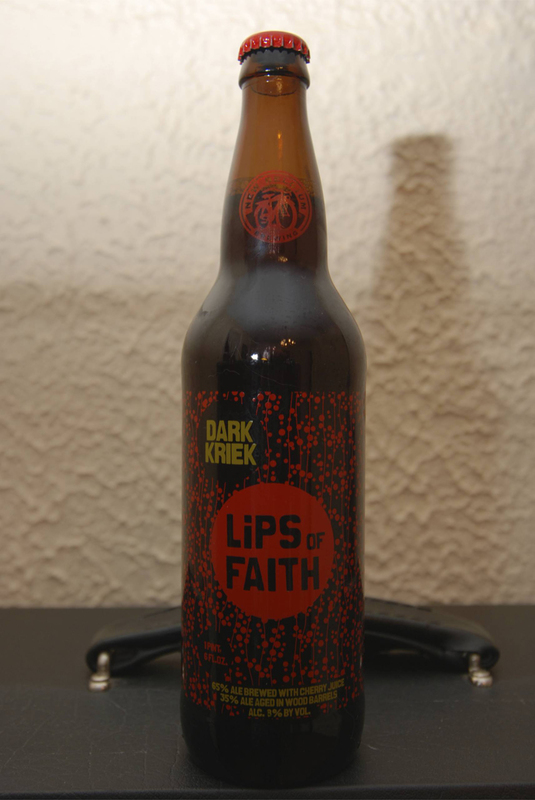 The first beer is the Lips of Faith Dark Kriek from New Belgium. The Lips of Faith, is a lambic coming in at 8.0%. 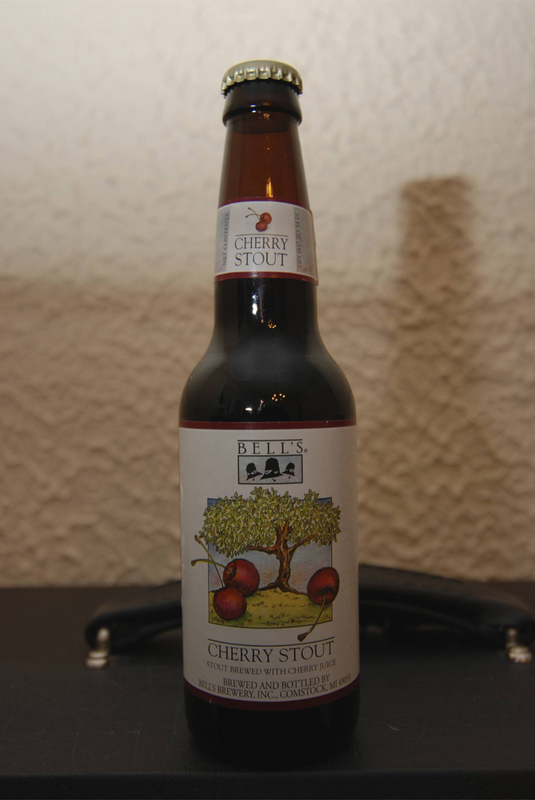 They follow that up with the Cherry Stout from Bell’s Brewery. The Bell’s Cherry Stout comes in a tad higher at 8.50% ABV. Download the Podcast (177.3 MB).